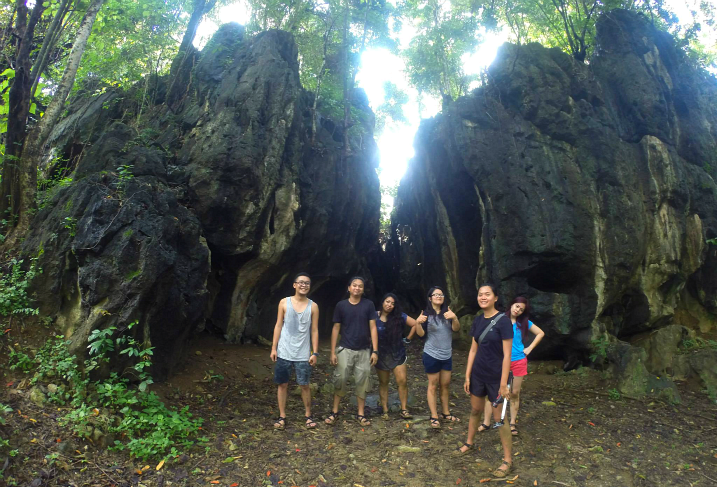 Our itinerary that day included a visit to Daranak Falls, Calinawan Cave and Batlag Falls. 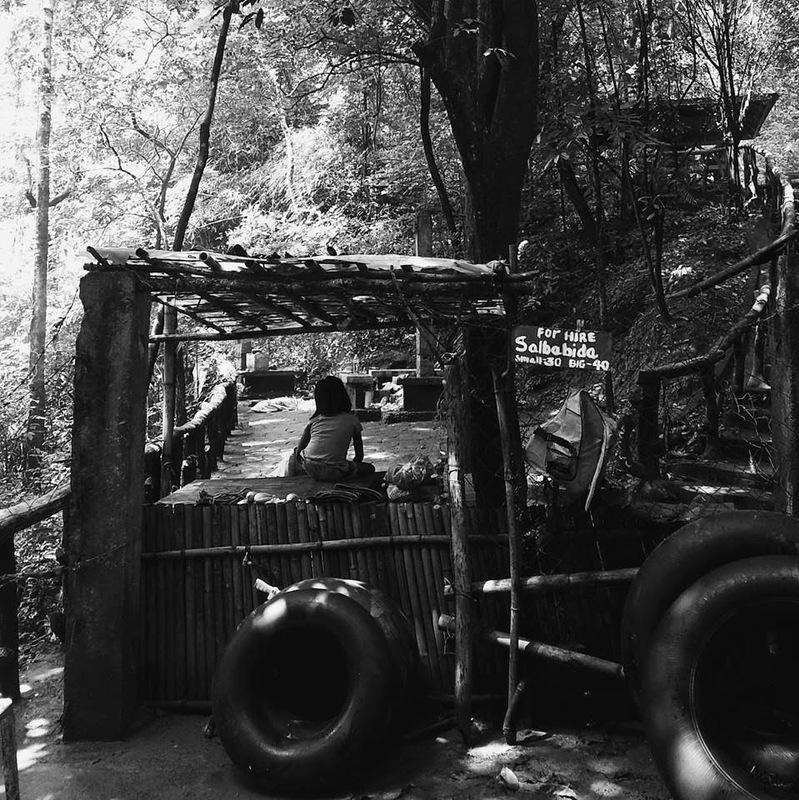 But we bailed out on Batlag Falls because the whole trip (including travel from Shaw Boulevard and back) from exploring Calinawan Cave, the trek towards Daranak Falls and staying at Daranak Falls already consumed a 3/4 of our day. We also aimed this to be a 500-peso-budget trip, which, if I remember correctly, we managed to do. 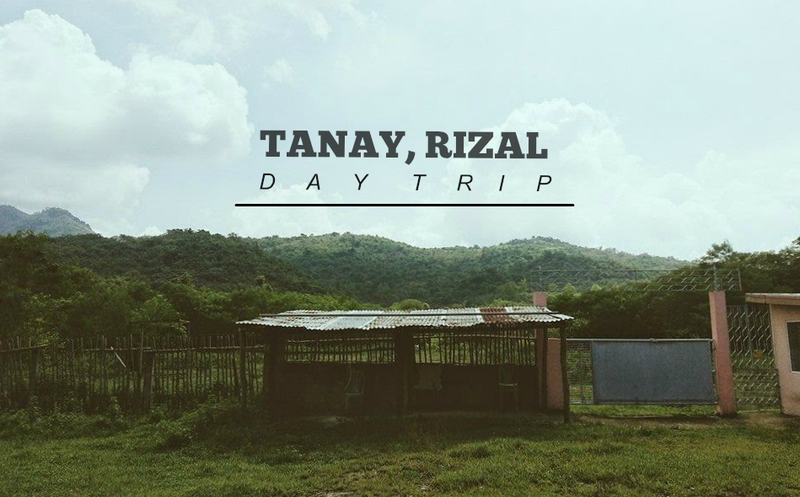 After a 2-hour long trip from Shaw Boulevard to Tanay's public market (there are vans going straight from Shaw to Tanay at Starmall; fare was PhP70. We ended up paying for the 2 extra seats at the back of the van just so we could have a more comfortable ride, so that's amounting to PhP93 per head), we arrived at their transport terminal and arranged for a tricycle to bring us wherever we need to go. 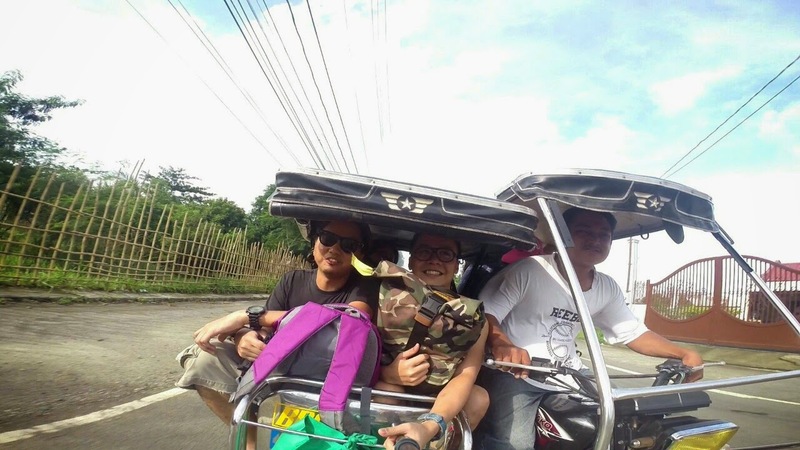 Our tricycle driver's name is Toter and we had a crazy ride going to Calinawan Cave. 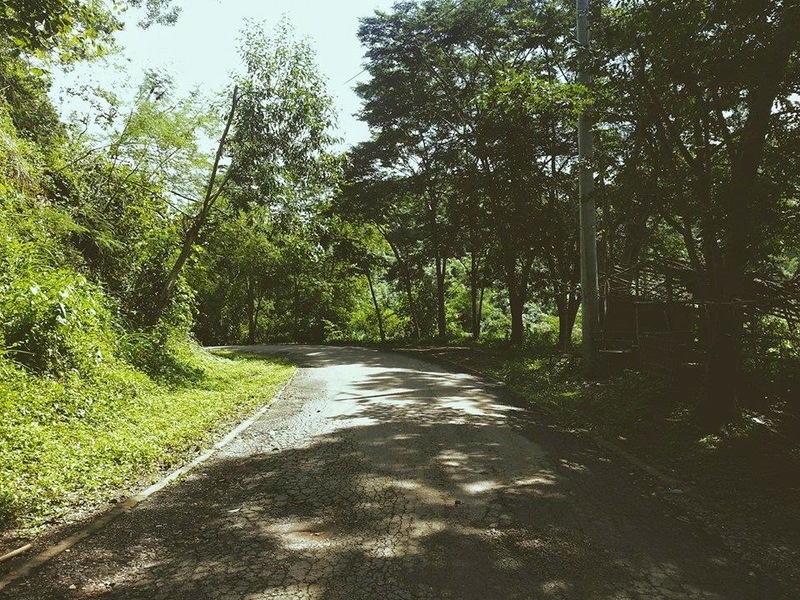 The roads were not all smooth and of asphalt, there were rough roads and uphills where he did all these crazy stints just to get us 7 (him included, yes all of us fitted in that tricycle) to Barangay Tandang Kutyo where Calinawan Cave was located. 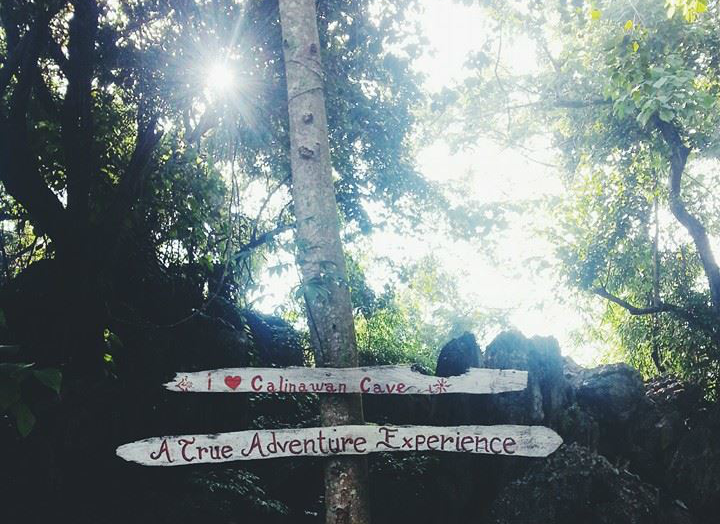 After that crazy tricycle ride we finally made it to Calinawan Cave! To those interested, entrance fee for Calinawan Cave was PhP40. 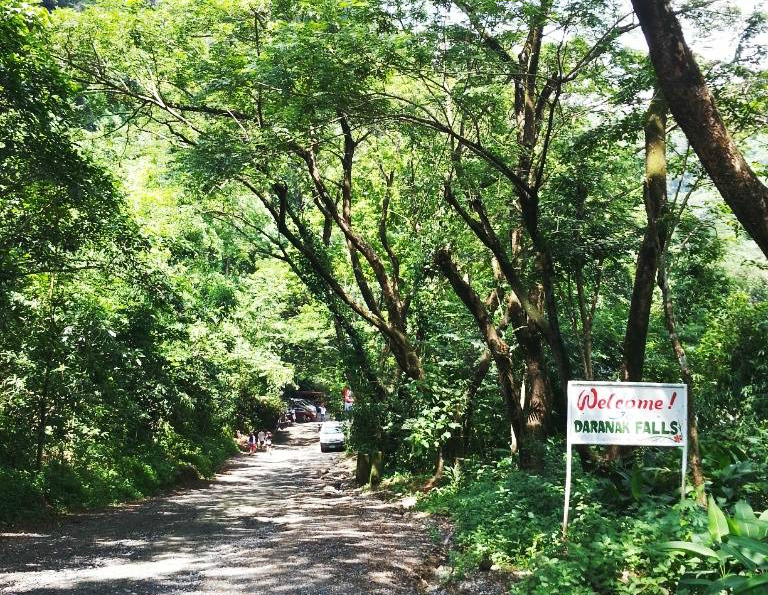 There would be an additional fee if you decide to explore all 5 layers of the cave (amount is entirely up to you) and another PhP50 to go on a trek to Daranak Falls. 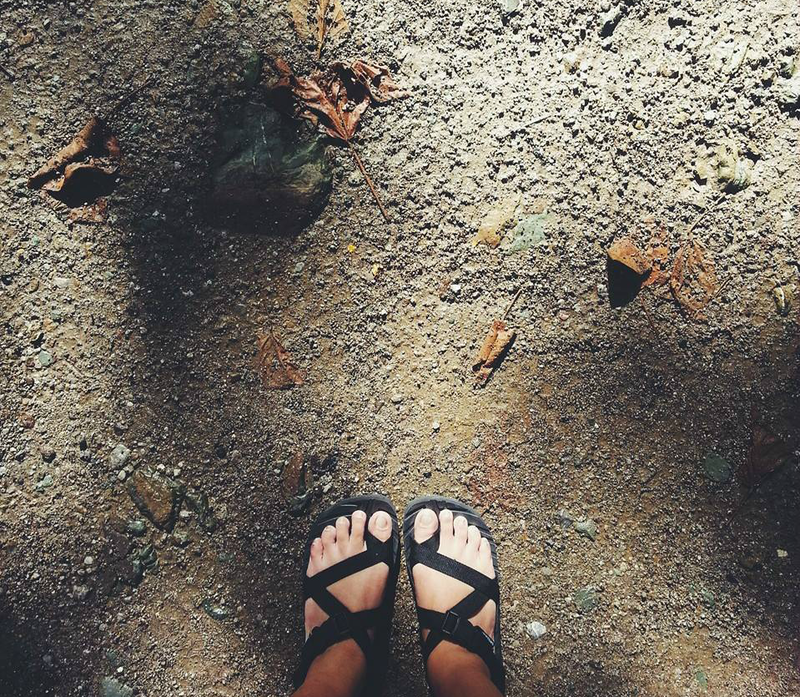 My mandatory feet shot whenever I travel to places I've never been before. Hehe. We were briefed about the 5 layers of caving. Initially, we would be able to trek 2 layers, and Ate Janna, our guide, told us we could decide after if we would want to continue with the 3 more layers, which, she added, was a tad bit more difficult than the first 2 levels. 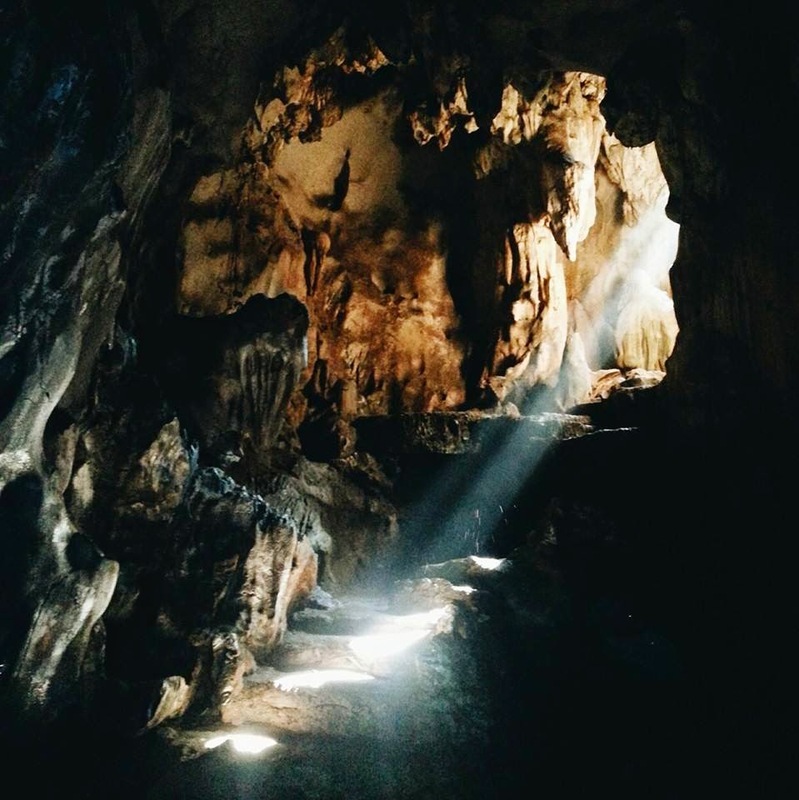 Also, apparently, Calinawan Cave is a favorite location to shoot for popular TV shows and some movies with a fantasy theme. We saw some areas of the cave covered with glitters. Though I wish they would stop doing that, they've ruined the cave's natural state. We managed to have a decent group photo after we got out of the cave. Even though we had with us flashlights, it were still not enough to have clear shots. Also, after making it through the 2 layers, we said yes to spelunking the other 3. It's quite the claustrophobic's nightmare down there. 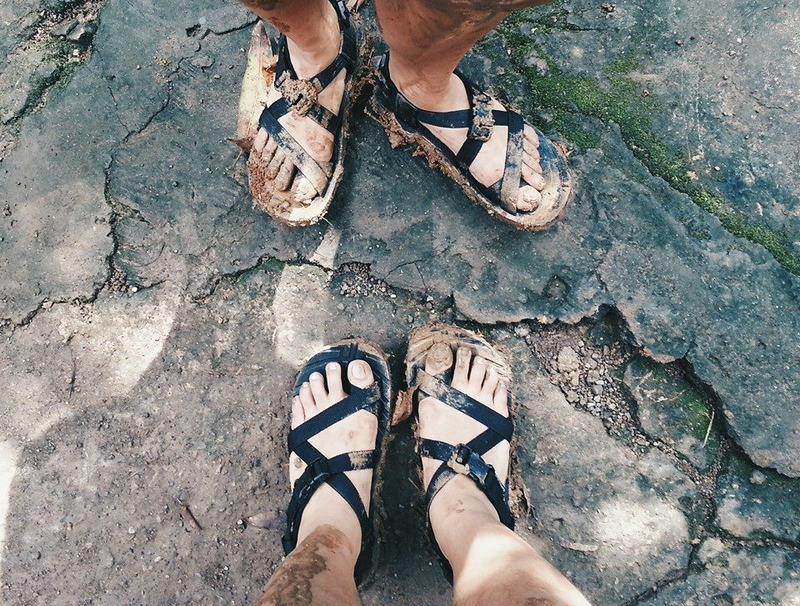 We managed to squeeze our bodies and crawl our way through tiny holes, and since it has been raining the past few days prior to our trek, we were covered in mud and puddle water after. I even soaked my hair wet. But it was really fun! We were laughing the entire time! Ate Janna was even laughing at our demise. Hahaha! 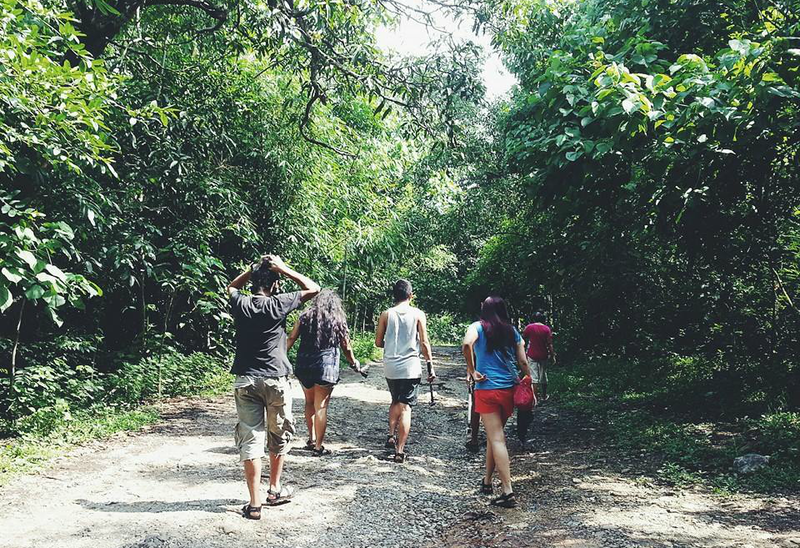 After a quick rinse of the mud off of ourselves and having refreshments, we proceeded with the trek going to Daranak Falls. When we reached this area during the trek, we paid some sort of donation for crossing the grotto, the same fee I was talking about earlier. After reaching the grotto, we had to go down a 200-step staircase and cross this river. There was also some sort of signage there that the place was once a farm. 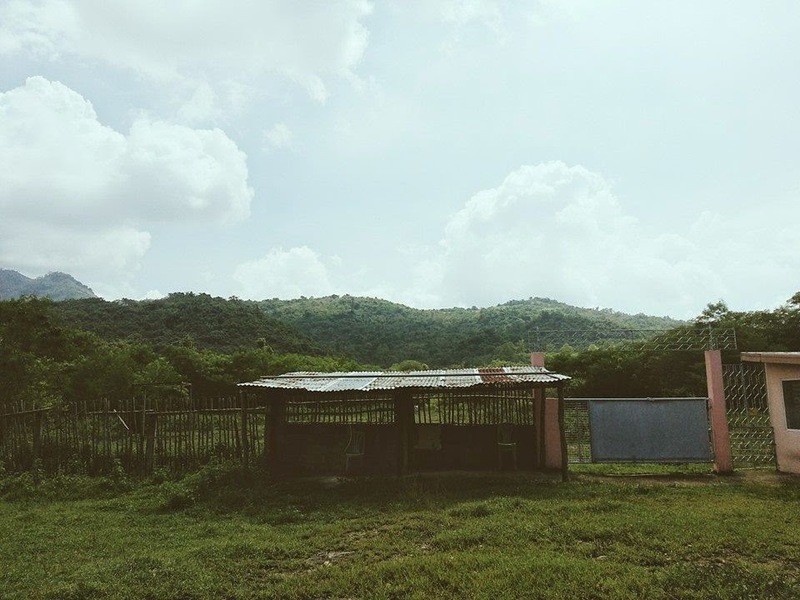 ('Once was' because it looked a bit rundown to me, and there was nobody there.) Man, am I out of shape. My legs were wobbly by the time we reached the main road. 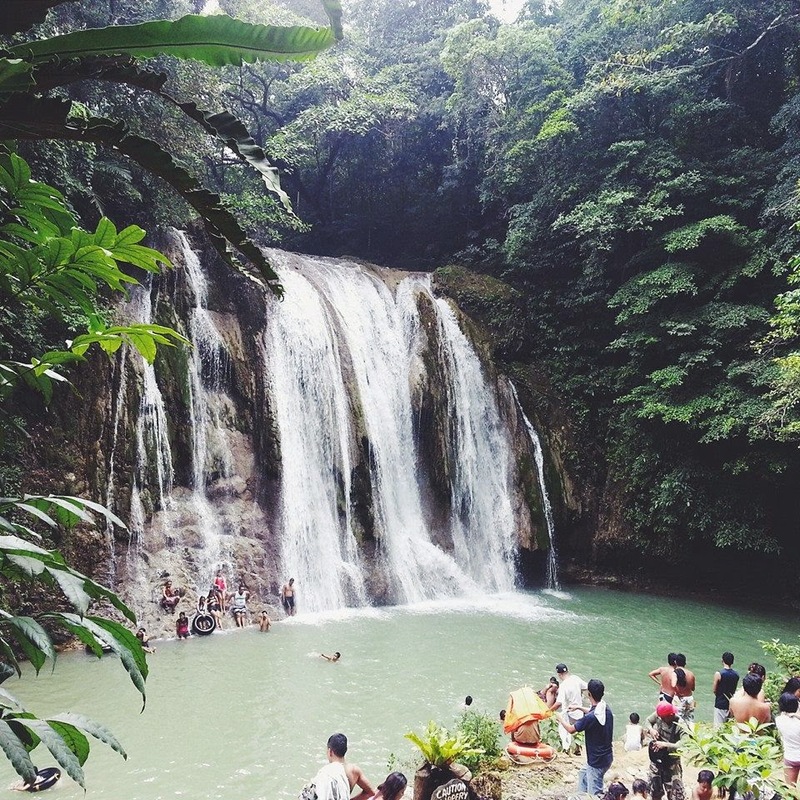 Finally made it to Daranak Falls!